Cosmetic dentistry was born out of people wish of having a beautiful smile. At DENT ESTET, our team of experts is dedicated to everyone’s wish of having healthy, aligned teeth, harmoniously matching your physiognomy and, last but not least, as whiter as possible. Fortunately, the current technology, which is very advanced, provides us a wide variety of means and DENT ESTET team can help you gain an outstanding, whiter and much younger smile, as you have always wanted. We use the latest techniques and materials currently available and DENT ESTET doctors are the best in this field. Certain food pigments (coffee, tobacco, red wine etc.) as well as intrinsic dental staining (tetracycline, excessive fluoride) are able to cause undesired changes of their color. In order to obtain a satisfactory shade, a rigorous hygiene and even professional cleaning are insufficient. Fortunately, modern dentistry brings very rapid and accessible solutions. ZOOM plasma lamp whitening system, offered by DENT ESTET, yields outstanding results within just one hour of treatment within the practice. Due to the fact that it is harmless and lacks discomfort and due to the reduced treatment duration as well as to very bright shades, the procedure is highly requested by very busy patients, who consider that “take home bleaching” systems are tiresome. Dental whitening with the help of plasma lamps is also very useful and recommended under certain conditions when a perfect smile must be obtained within a very short period of time (marriage, parties, conferences, various social events). Obviously, home whitening systems have not lost their value and professional cleaning a few days previously is absolutely mandatory in all situations requiring whitening. One of the current factors of social and professional success consists of healthy teeth but this is not enough. Teeth must also be very beautiful in order to offer a pleasant smile to the others and to feel self-confident and comfortable with ourselves. 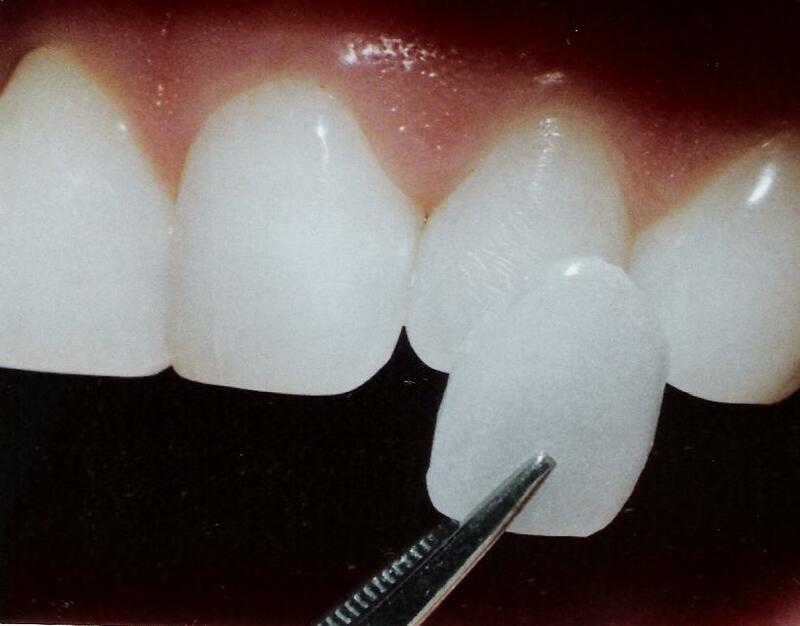 Porcelain veneers are the restorations with the highest match to physiognomy as well as the most delicate. They are crafted through complex layering techniques determined by the minimal space available, on dual refractory mass, with various color and transparency tricks. Ceramic veneers are very thin, custom made shells crafted of tooth colored materials designed to cover the front side of the teeth. Veneers help people accomplish a healthy, natural looking and beautiful smile with little or no discomfort. Teeth preparation, impression acquirement and veneer bonding are highly sophisticated procedures requiring the involvement of patient, dedicated and highly qualified personnel in cosmetic dentistry.